The cultural evening will be held Dec. 14 through 16, 2018. 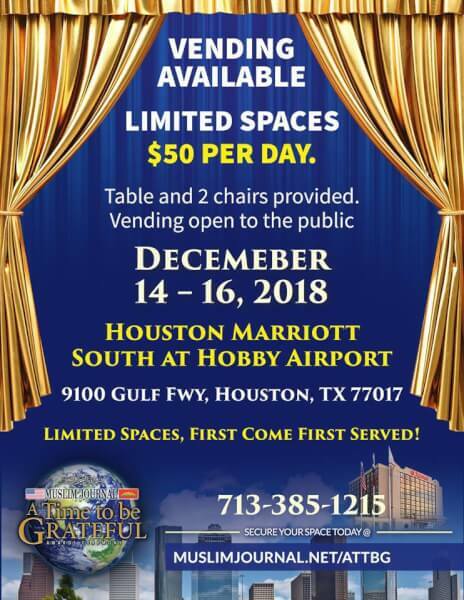 Houston Marriott, 9100 Gulf Freeway, Houston, Texas. The Muslim Journal is one of America’s leading weekly Muslim American newspapers. THIS POST HAS BEEN READ 8801 TIMES SO FAR. THANK YOU!